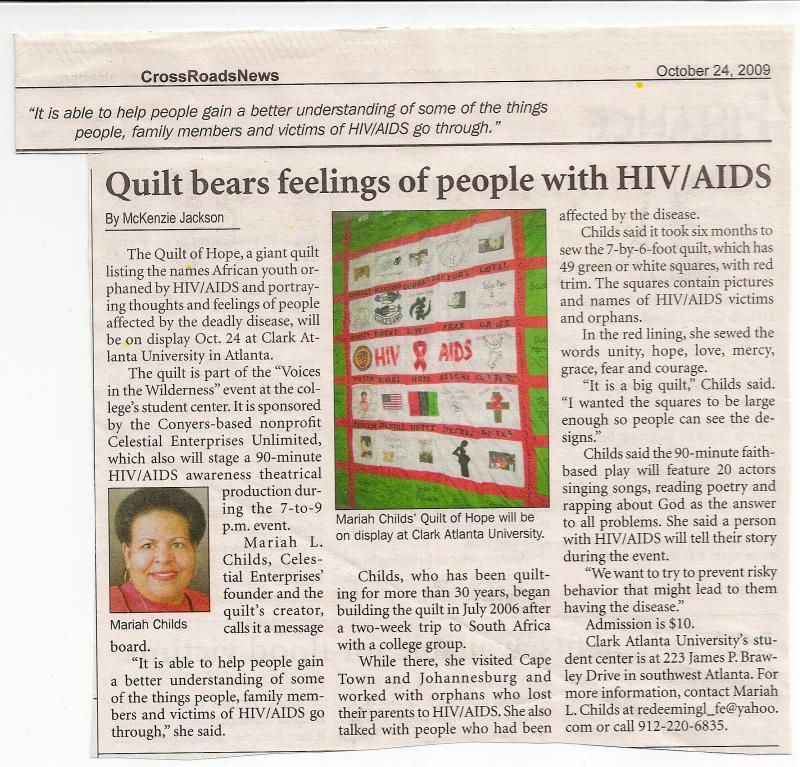 "The Quilt of Hope, a giant quilt listing the names of African youth orphaned by HIV/AIDS and portrays thoughts and feelings of people affected by the deadly disease..." "It is able to help people gain a better understanding of some of the things people, family members and victims go through." 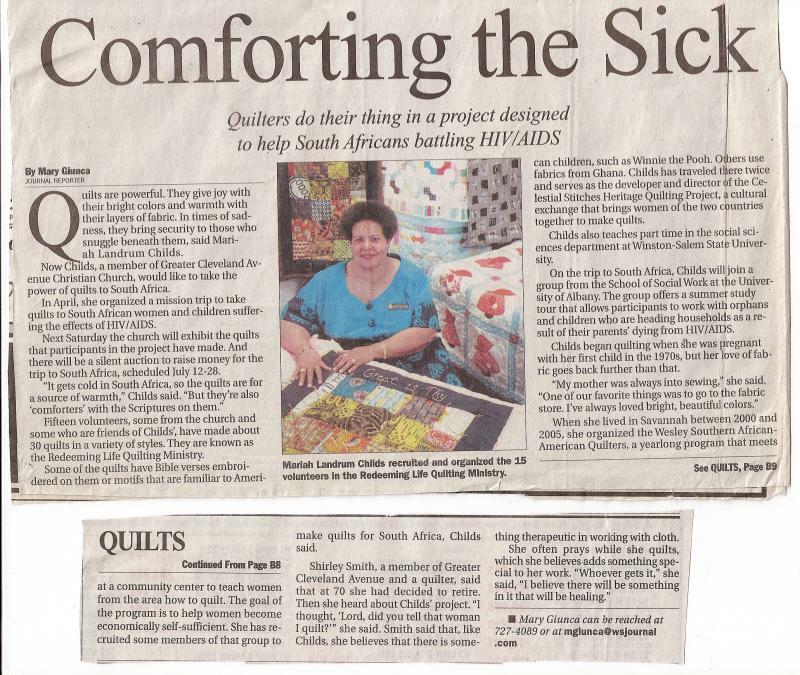 "Quilts are powerful. They give joy with their bright colors and warmth with their layers of fabric. In times os sadness, they bring security to those who snuggle beneath them, said Mariah Landrum Childs. 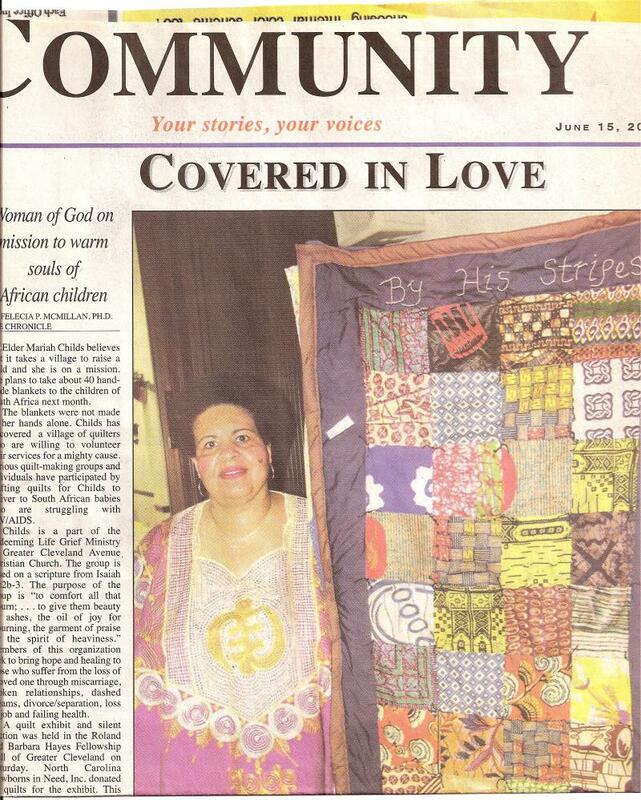 ""In April, she organized a mission trip to take quilts to South Arican women and children suffering from the effects of HIV/AIDS." 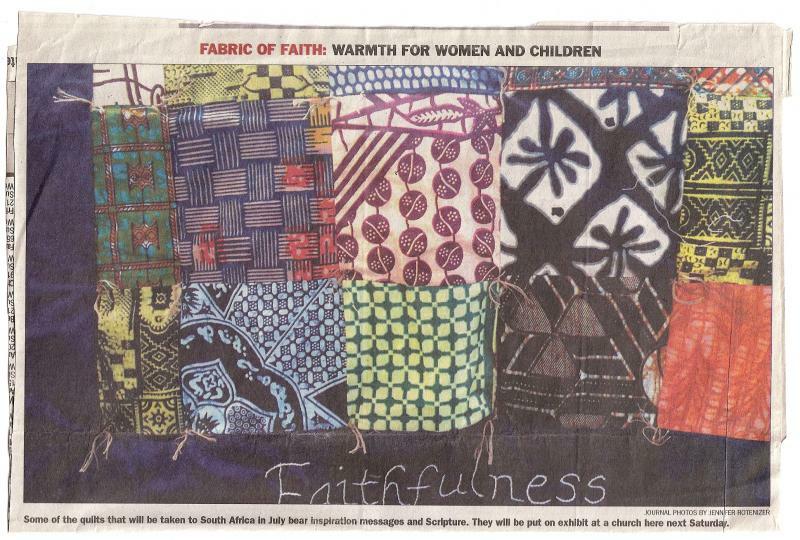 "It gets cold in South Africa, so the quilts are for a source of warmth," Childs said, "But they're also 'comforters' with the Scriptures on them." 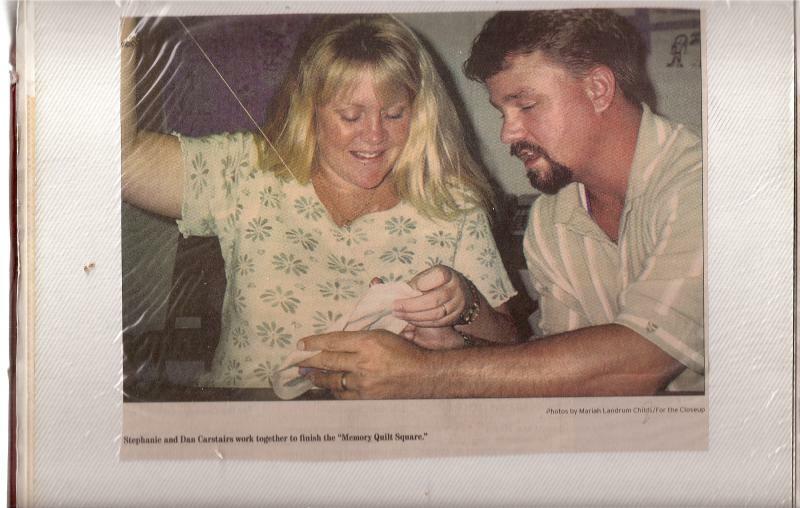 "We want the babies to be covered with the Word." 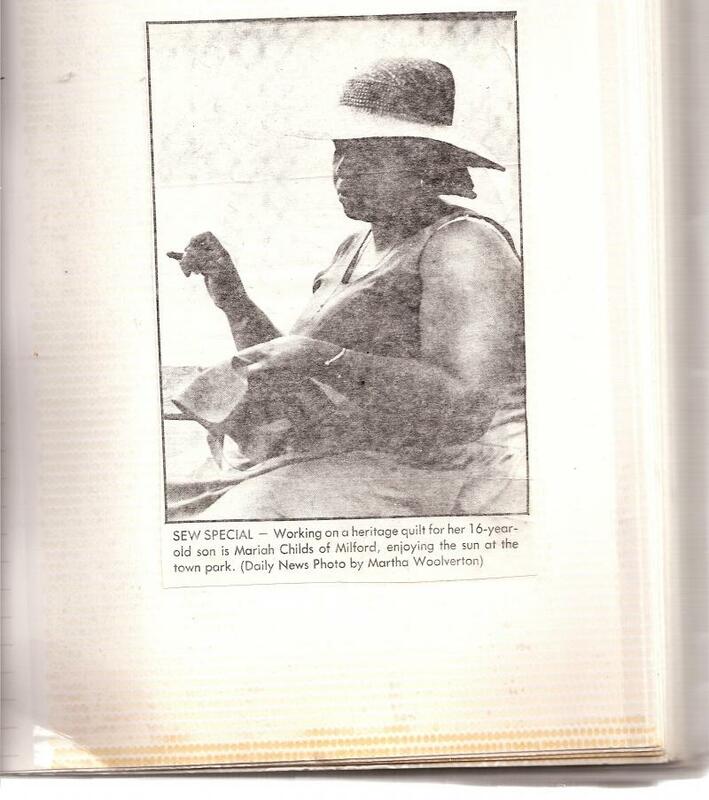 said Childs. "The quilts are for warmth, but they are also for spiritual comfort. 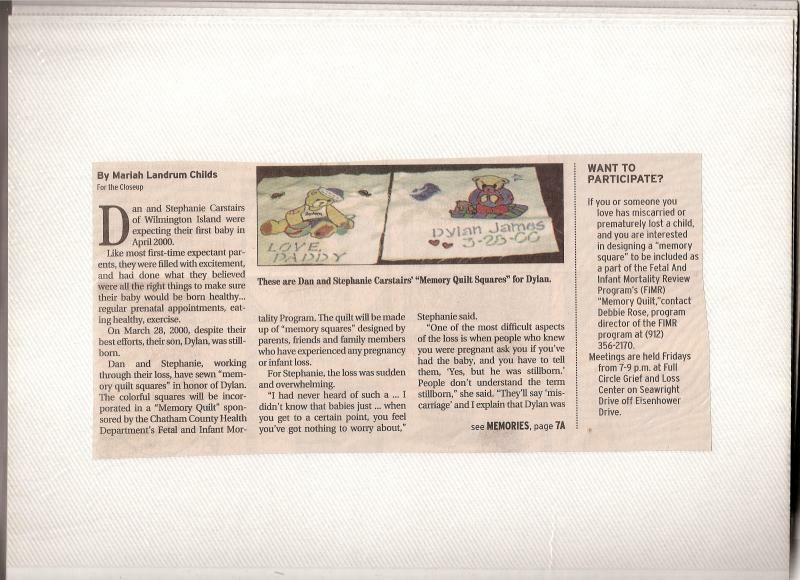 The blankets and pilllws we have designed are covered with Scriptures and encouraging proverbs. 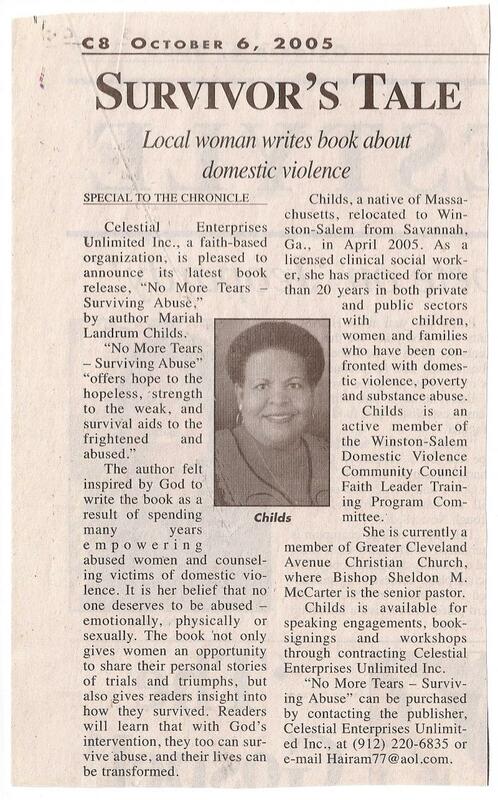 This makes the quilt a true comforter." 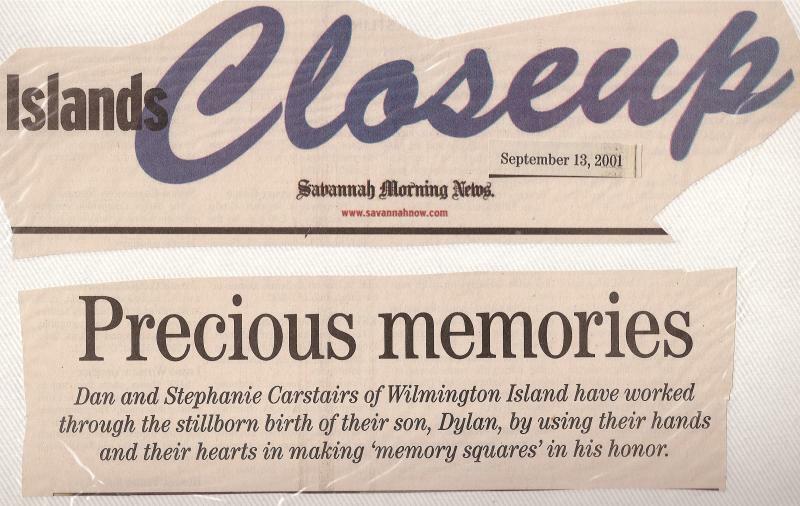 "Stephanie and Dan Carstairs work together to finish their "Memory Quilt Square. 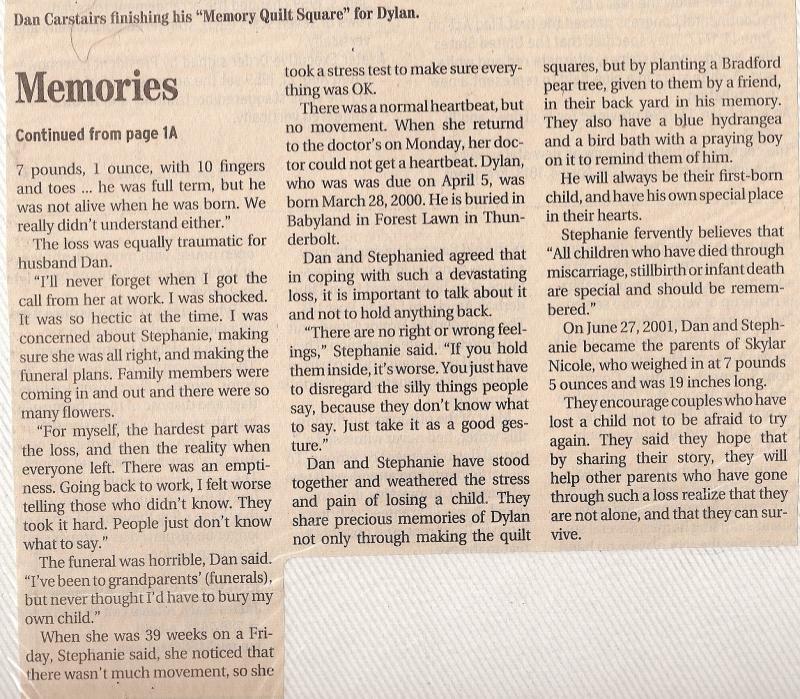 "The Memoery Quilt project was the vision of Mariah Landrum Childs to allow grieving parents an opportunity to fellowship in a weekly support group and to contribute a personalized square for the quilt in rememberance of a child who died.